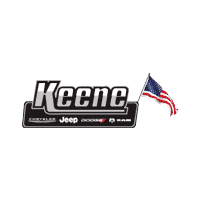 When it comes to American truck buying, it’s no secret that loyalty reigns supreme. If you’re a truck owner, chances are that you grew up in a household that owned a truck as well. And whatever make of truck you drive, it stands to reason that you may have ‘inherited’ that preference from your parents. If nothing else, truck owners are well-established in their loyalty. Two decades ago, a poll of American owners would be largely divided amongst traditional domestics like Ford, Chevy, GMC and Dodge. But today’s landscape is much different. With the successful integration of Toyota’s offerings, the marketplace has expanded to encompass those served up by Nissan and Honda as well. Scan the Top 10 Best-Selling Trucks coming into 2017, and you’ll see a significant jump in sales for each of those upstarts. But their numbers can’t even hold a candle to the domestic offerings in the Top 5; and of those, the largest growth (8.7% year over year) is held by RAM Trucks. With both the Chevy Silverado and GMC Sierra showing decreases, it stands to reason that RAM Trucks provide a compelling argument to shift loyalties. Getting the superficial out of the way, RAM Trucks’ unique styling has been a staple of their enduring appeal long before the line traded in its Dodge surname. “Big Rig” inspired, their design is truly unique, capturing the aesthetic of commercial tractor rigs and translating it into something that stands out amongst the less-inspired styling of its domestic competition. But RAM Trucks serve up much more than superior looks. From an excellent lineup of powertrain options, to the numerous cabin and bed configurations you’d expect from a domestic truck, RAM Trucks have a little something for everyone. Trim levels abound, as does available technology and storage options. And if you’re not convinced by the comfort offered by RAM Trucks’ interior, take a moment to appreciate the smoothness of a class-leading ride, courtesy of their unique coil-spring rear suspension. Those new to truck-buying shouldn’t be distracted by the Light-Duty labeling of the RAM 1500. With power to spare (and towing capacity that just-misses class-leading status) it marries performance with efficiency. A confident do-all truck, it boasts all the attributes mentioned above, remaining one of the most popular offerings within the segment. Beginning with the three-seating (two-door) Regular cab, you can opt for the 6-foot-4-inch or 8-foot bed; while the (four-door) Quad cab only comes with the former. With the Crew Cab, you retain four-doors and seating for six, but the rear doors are upsized as is the legroom for rear passengers. Opt for the 5-foot-7-inch bed, or go all out with the 6-foot-four. Trim levels begin with the workhorse of the line, the Tradesman. This is followed by the gently-enhanced Express, high-fuel economy HFE, amenity-friendly SLT, and near-luxury Big Horn. But we’re not done yet. The performance-inspired Sport is then followed by more nuanced trim levels such as the Laramie, Laramie Longhorn and Limited. Each one offers unique features, to ensure that everyone’s expectations are met. Standard-equipped with a 3.6-liter V6 paired to an eight-speed automatic transmission, the RAM 1500 generates 305 horsepower and 269 lb-ft of torque. While rear-wheel comes standard, 4WD is available, serving up 19 mpg combined. Additional powertrain options include a 5.7-liter V8 rated for 395 hp and 410 lb-ft. An optional upgrade on all trims (except the HFE) this engine comes standard on Sport, Laramie Longhorn and Limited trims. And speaking of the HFE, this economical option is powered by a turbocharged 3.0-liter diesel V6 that delivers 240 hp and 420 lb-ft. With 23 mpg combined, the HFE is eye-catching for those with an eye to both savings and sustainability. This engine is also optional on all trims (except Express, Sport and Rebel). 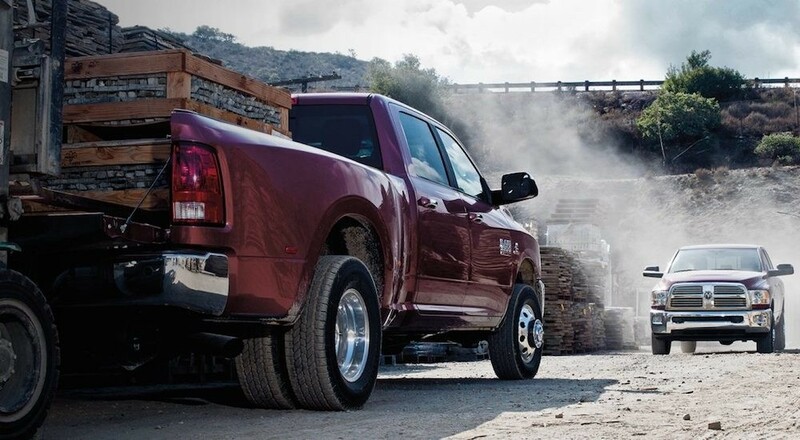 Properly-equipped, a RAM 1500 (with the gas V6) can tow up to 7,610 LBS with an 1,890 LB may payload. The V8 adjusts those numbers to 10,640 LBS and 1,800 LBS respectively, while the diesel V6 confidently serves up 9,210 LBS and 1,600 LBS. Bottom-line, this Light-Duty exceeds the heaviest of expectations. Did we say heavy? The Ram 2500 ups the ante with little competition. Choice of the (two-door) Regular cab, will result in an 8-foot bed. While the optional 6-foot-four-inch bed is a secondary option on the (four-door) Crew Cab and spacious (four-door) Mega Cab. Bridging the gap from no-frills to luxury, are seven trim levels including the Tradesman, SLT, Big Horn / Lone Star, Laramie, Laramie Longhorn, Limited and the off-road themed Power Wagon. Standard on most trims is a 5.7-liter V8 paired to a six-speed automatic transmission, delivering 383 hp and 400 lb-ft. Option engines include a 6.4-liter V8 (410 hp and 426 lb-ft) and a turbocharged 6.7-liter Diesel six-cylinder (350 hp and 660 lb-ft). Properly equipped, the RAM 2500 is hard to beat, towing up to 17,890 LBS with a 3,990 LB may payload. What can we say about the 3500 that we haven’t already said above? Winner of the 2017 Gold-Hitch Award, and favored in the Contractor Top 50, this beast is just as comfortable towing and hauling, as it is serving up a luxury family ride. Are RAM Trucks right for you? If your priorities for a vehicle include upscale comfort, a competitive list of amenities and explosive power encased within signature styling, they very well may be. With ten different trim levels of the 1500, seven for the 2500 and six for the 3500 there is a RAM Truck for you, ready to empower you with the versatility and functionality that your life demands. Because RAM Trucks provide more than just compelling reasons to shift your loyalties to them. Once you’ve experience the RAM difference, you’ll have countless reasons to never shift loyalties ever again.